We treat each and every patient like you are a part of our own family. We understand that choosing an eye care provider for you and your family is a big decision. At Lifetime EyeCare, we never take your trust in us for granted, and it is our honor and privilege to provide you with the very best vision care and eyewear options. Located in Greystone Square, Lifetime EyeCare has been taking care of families in the Jackson, Tennessee, area since 1971. Under new ownership in 2018, we are always striving to provide the best care possible. We hope you will give us the honor of caring for your family’s eyes! From the time you enter our front door to when you leave with your new eyewear, you will be surrounded by friendly faces. Our staff is always happy to answer any questions you might have. 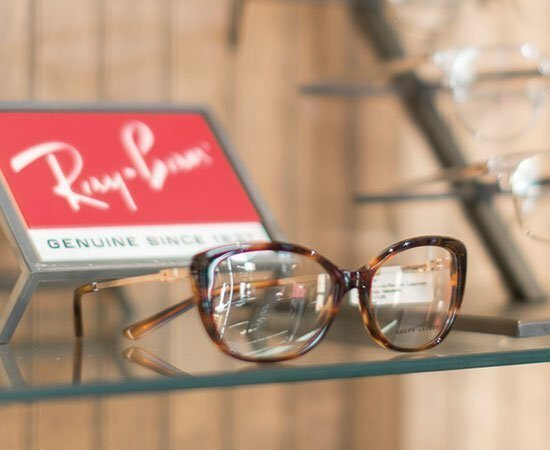 Whether you are arriving for your appointment or looking to freshen up your style with a new pair of frames, we will make sure to exceed your expectations. You can even text us! Lifetime EyeCare has invested in state-of-the-art equipment and technology that will give us the clearest picture of your eye health and vision needs. 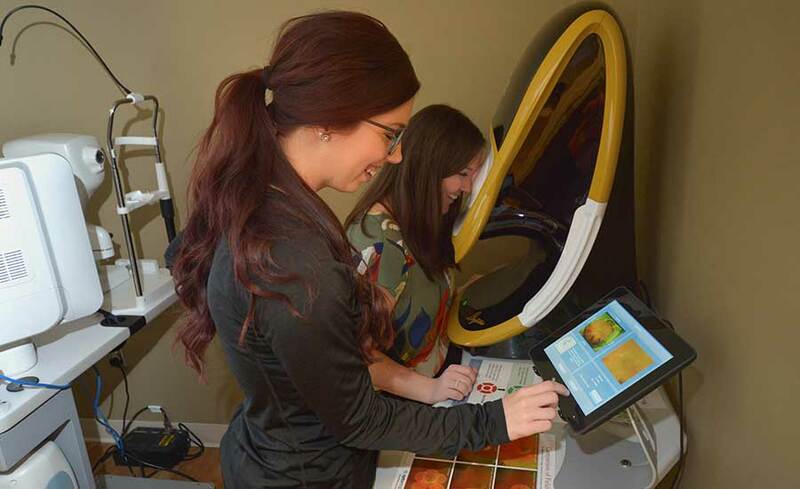 We recently added a new Optomap Retinal Screening so we can get a full picture of your retina, which helps your doctor assess not only your retina’s health but also your overall health. 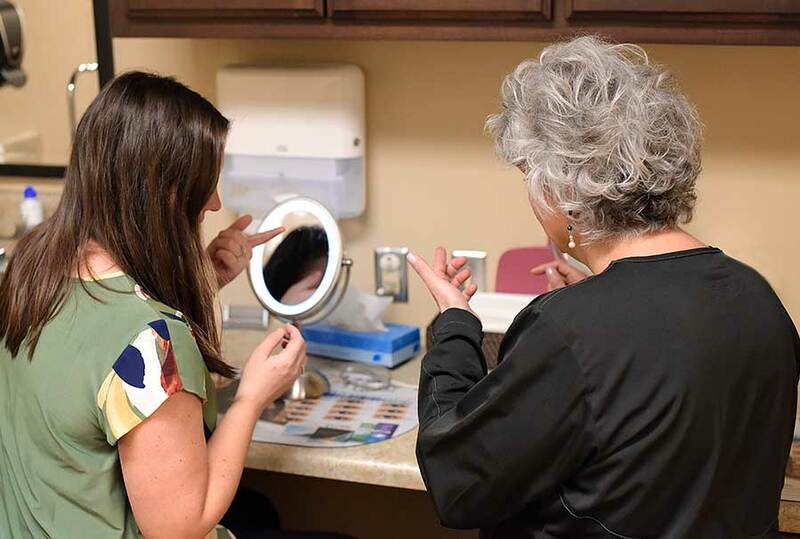 Our doctors and staff will take the time to get to know you and your unique eyesight and make sure you understand what is going on with your prescription, your eye health, and how you can get the most out of your vision correction. If you are experiencing, any abnormal vision and or pain and redness, please let us know so we can schedule you immediately. Your eyes have an important job to do, so why would you settle for anything less than the best vision correction? We offer only the highest quality frames, lenses, and lens coatings, from anti-glare to scratch resistance to blue-light filtering. We stand behind our eyewear—all of our glasses come with a quality warranty, so you can be certain your next pair will be hassle-free. And if you have any trouble at all, we will make it right for you. If you need frame adjustments down the road, you can stop by anytime during normal business hours, no appointment necessary. While there is a lot of skill that goes into choosing the perfect pair of glasses, it’s also a bit of an art. Our certified and talented opticians will help you choose a flattering fit that not only suits your style but will also give you the clearest vision with your prescription. Choose from over 700 styles in our showroom, and if we do not have a particular color or style you’re looking for, we can special order from many more options. If you are a contact lens wearer, our expert contact fittings will ensure you find a comfortable lens that you will be happy wearing all day long. We offer all the brands you know and trust, plus ordering new boxes is simple and easy—order online or give us a call or text. If you are ready to try Lifetime for yourself, just click the link below to get started with your first appointment. Feel free to reach out with any questions—we’re happy to hear from you.